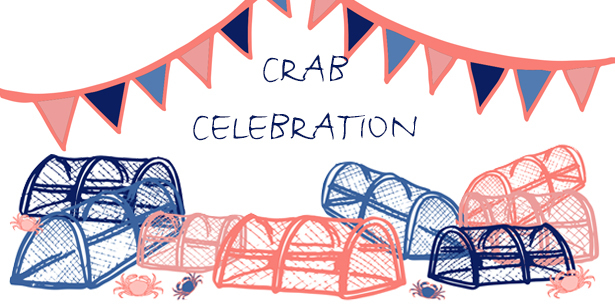 This June at Rick Stein’s Fish we will be holding a crab celebration. Our Falmouth restaurant will be transformed to celebrate these delicious crustaceans with an exciting new menu, competitions and more. As well as our usual restaurant menu you can enjoy dishes such as Malaccan black pepper crab and crab linguine and of course we’ll have some great wines to accompany them. Never eaten crab before? Our team are on hand to give their top tips and we have all the tools you need to get stuck in and gloriously messy! with tarragon and butter sauce. Stir-fried whole crab with garlic, ginger, chilli, curry leaves and black beans. With tomato, parsley, garlic, chilli and olive oil just warmed through so that all the fresh favours of the ingredients remain distinct. Stir- fried whole crab with garlic, ginger, chilli and coriander. Very much for those who love eating with their hands and getting gloriously messy! Keep you eye on our Facebook and Twitter pages for all the latest news or sign up to our Falmouth emails here.